There is no more definitive English spirit than gin. 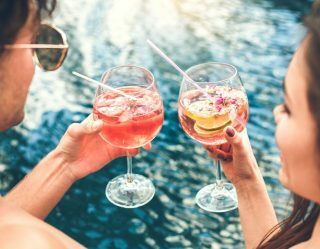 Though most thirsty historians credit the Dutch with inventing the singular juniper berry spirit sometime in the 16th century (originally calling it Genever), it’s England – and specifically London – we conjure in our minds at the mention of gin. The London Gin Club at The Star looks to build and cash in on that London dry gin tradition with a varied, free-floating menu devoted to gin, its many area distillers, its varieties and its signature cocktails. During a recent London visit and stroll through a few hole in the wall spots with Eating London Tours, I took a moment and signed on to explore the gin tradition. The club snuggles on a quiet corner of Soho. 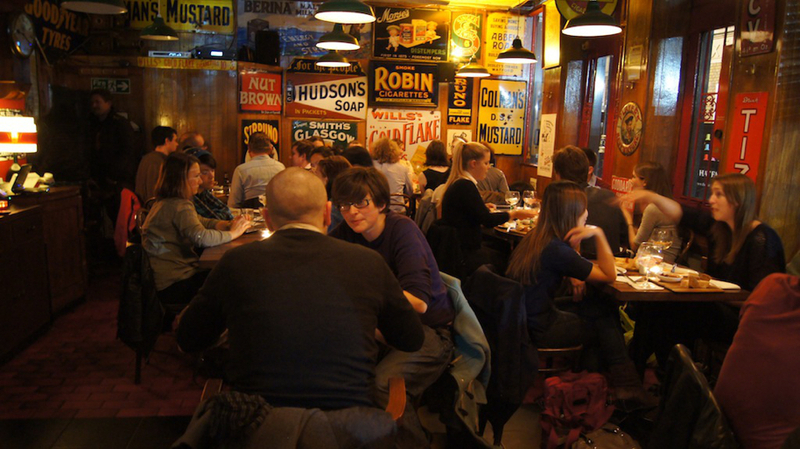 The size of your average central London pub, the joint offers a bar and table seating for the enjoyment of liquid libations or a daily food menu. Still, it’s safe to assume no one merely stumbles into The London Gin Club for a pint. It’s a spot for gin purist, and the club offers regular tastings and explorations of the latest brands and recipes. The London gin scene is sprouting new, local, artisanal distillers regularly because the spirit can be a quick money maker. As a clear alcohol product, there’s no aging involved. It’s bottled and out the door. There are experts on hand to advise you on varieties and cocktail combinations. They’ll be quick to tell you (correctly) that a proper Martini should send the vodka back to Russia. And, if you want to know what gin goes best with a beef pie, they’re standing by. The in-house gin is crisp and fresh and an easy recommendation for a Gin and Tonic. Of course, with only two ingredients, the G&T is not a cocktail. It’s technically a high ball, but don’t tell the Brits.